Christmas is not just about Santa Claus and presents and candy canes. It's the story of the birth of Jesus. It's a long and important story to tell in a few paragraphs on Wild Heart Mustangs™. 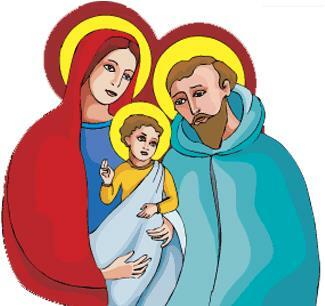 Your parents and teachers are the best source for that, so today we're going to concentrate on one aspect of the Christmas story: the animals that surrounded and served Joseph, Mary, and other people who lived in those ancient times. Jesus was born in the town of Bethlehem, which was a long way (about 90 miles south) from where Mary and Joseph lived in Nazareth. It was a hard journey for anyone, and especially for a woman about to give birth, but the Roman Emperor Caesar Augustus had ordered every citizen to return to the place where they were born in order to be counted in a population census (click here to read more about that), so Mary, Joseph and hundreds of other people were on the road. There were no cars, buses, trains, airplanes or highways then, so the people walked or rode on animals. Uphill, downhill, one step at a time, during that cold, wet winter, they shared the trails with other citizens on their way to the census takers. In the picture below, Mary rides a donkey (or burro) while Joseph walks along beside them. We talked about donkeys and burros (a burro is a small donkey) in the October 2016 edition of Wild Heart Mustangs. We learned that they're very smart, hard-working and dependable. In Biblical times, they carried loads up and down mountains, across deserts, in all kinds of harsh weather. 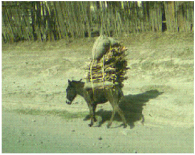 Humans have relied on donkeys to carry loads or pull wagons and plows for thousands of years. They're still used that way in the poorer, undeveloped parts of the world. And what did their donkey eat? ​It's a good thing that donkeys aren't fussy eaters, isn't it? Mary and Joseph had to bring their own provisions, carrying water in wineskins (see note below) and bread to eat for breakfast, lunch and dinner. In the forest valley of the Jordan River, they would have feared the lions, bears and wild boars that lived in the woods. Bandits and robbers roamed the desert, so Joseph had to stay alert to protect Mary and their donkey. The bread might have been unleavened (made without yeast to make the dough rise), kind of like the pita or "pocket" bread we eat nowadays, but Mary and Joseph would have eaten it plain - no goodies tucked inside. Not a McDonald's hamburger, but enough to keep them alive. It probably took Mary and Joseph 9 or 10 days to get to Bethlehem, and when they arrived there was no place for them to stay. The town was so crowded with other travelers that they spent the night in a stable. We don't know exactly what the stable was like, other than it was where animals were kept. 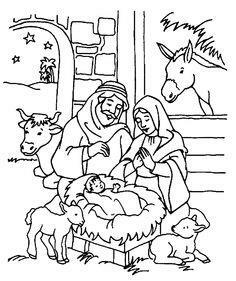 It was common then to keep sheep, goats, donkeys, mules, and cattle, but not all of them needed the shelter of a stable. Herds of sheep and cattle would be kept outside in the country, watched over by shepherds. Modern day nativity scenes often show a stable that looks like a small hut, but it could also have been a cave. 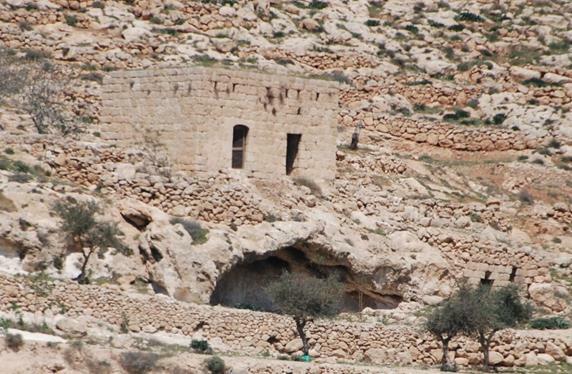 The photo at the left shows a stone house at Bethlehem with a cave called an "animal fold" underneath it. What's an animal fold? Is it like this > origami donkey made from folded paper? Keep on reading. We'll learn more about it in the next section. Origami is the Japanese art of paper folding. Click here to learn more about it. Animals are God's creatures, and important to us all, but animals were even more important in Biblical times. Some (like lions and bears) were feared and others (like sheep, donkeys and cows) were the key to human survival. They plowed the fields, carried the rider, pulled the wagon, and some were raised as food. It was important to keep them safe and nearby, so at night they were often confined in a stable, pen, cage, or "fold". In many parts of the world, caves were a good solution to this challenge. Already carved out of stone by weather and time, they provided shelter from weather and predators (like those lions and bears) and were easier to watch and defend than places out in the open, like the fields in the photo at the left. Originally a fold was a flock of sheep or the enclosure where they were kept. Thousands of years after Jesus was born, the word "fold" has also come to mean a group of people or institutions that share a common faith, belief, activity, or enthusiasm, like a church and its members. Christian people think of Jesus as the Good Shepherd, watching over us and keeping us safe from harm. We're just as important to Him as the animals were to people in Biblical times (and now). The dictionary tells us that a manger is a box or trough inside a stable, barn, fold or other animal enclosure, from which animals eat. Kind of like a big dinner plate...that they have to share with each other. Yup, all of them. The Christmas carol says, "The cattle are lowing." Do you know what "lowing" means?" 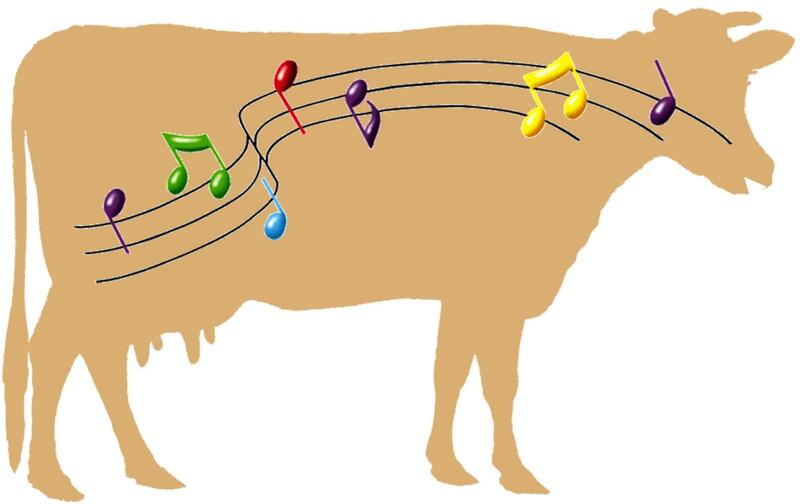 Here's a modern-day recording of lowing cattle. Hard to sleep through that, huh? The video gives you an idea of what it sounded like. Away in a Manger is one of the most popular modern Christmas carols sung in the English language. There are many versions of the song, but the theme is the same. The birth of baby Jesus is not a fairy tale. He wasn't a magical being dressed in fancy clothes, floating down from Heaven while surrounded by singing angels. He was a real human person, the child of a working family, and he was born in a very humble place - a manger - surrounded by Mary, Joseph, and...ANIMALS. Fortunately, the cattle weren't inside with Mary, Joseph and baby Jesus. That stable would be full to bursting! They would have been out in the fields at night, minding their own business. The "lowing" of cattle means MOOING, and it's not a "dumb animal" noise. If the cattle were lowing on the night Jesus was born, they were actually talking with each other. They were saying things like, "Mama, where are you? I'm hungry!" or "I heard a scary noise! Did anybody else hear a scary noise?" But...maybe the lowing cattle were saying, "Hey! Look over there! Three camels are coming our way!" At the time Jesus was born, camels were owned by wealthy men. Kings and other community leaders used them for transportation. Camels were especially useful in the desert because they're able to store water inside their bodies to help them survive when there's no water to drink. ​According to author Fred H. Wight, the camel is able to consume as much as nine gallons at a single drink (!! ), and this water taken in a few minutes would last it for several days as the camel and his owner traveled through the desert. The travelers probably carried some straw for camel feed, and the camels would also eat leaves from the scrubby bushes and shrubs found in the desert. What do you think? Could an animal this big fit into that little stable with everyone else? The camels had to have been parked somewhere else...but wait...there weren't any parking lots then, were there? Although traditional Nativity scenes and stories mention that three kings or wise men ("magis") saw the Christmas star and followed it to Bethlehem so they could give the newborn king Jesus gifts of gold and precious oils and ointments of frankincense, and myrrh, their visit probably took place 2 years later, when news of Jesus' arrival had spread to lands in the Far East. Click on the picture to get a printable coloring page. Visit funhandprintart.blogspot.com to find lots of ideas for hand print art. WILD HEART MUSTANGS™ WISHES YOU A VERY MERRY CHRISTMAS!